The age of wired technology is fast approaching its long-awaited doom. While you were still busy ogling over the burgeoning trend in wearable fitness technology, one talent-stacked european company has been developing the Swiss Army Knife of wearable tech. Some say it’s a pair of wireless headphones, others say it’s a fitness tracker. Surprisingly, the Dash is both! And there’s none of that fitness tracker wristband malarkey, this gadget really does do it all. 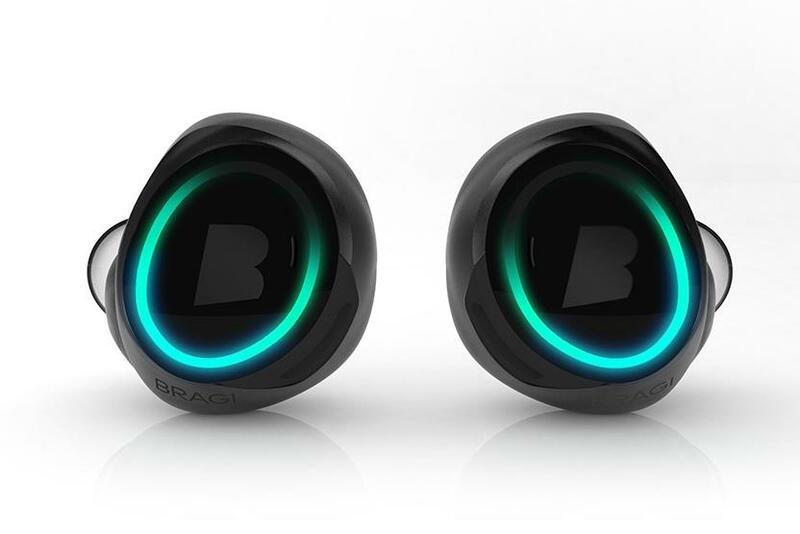 The Dash by Bragi was first submitted as a Kickstarter project, and it raised an astounding $3.3 million, well above the project’s stated goal of $260,000. The Dash itself is a pair of wireless earbuds that also has the ability to track fitness data. The full list of features is nothing short of impressive, provided the real thing lives up to the hype. The Dash, aside from taking advantage of wireless tethering, also has an onboard 4GB MP3 player, so the user with an active lifestyle does not need to carry a companion smartphone. The device features both Noise Reduction and Audio Transparency, which enables the user to allow environmental noise to pass through the headphones. This carries the benefit of allowing a user to remain aware of changes in their immediate area. An embedded earbone microphone is advertised as allowing crisp and clear phone conversations. Sporting an innovative dual touchpad control interface, the user can give several different commands to the Dash by simply swiping the cover of their earpiece. In the image below you can see what the Dash looks like in-ear. While significantly larger than other earbuds on the market, the Dash is contoured to the shape of the middle ear. This allows room for all the added features, including the battery, while marketed as also providing a secure fit for active users. The flat surface in the middle of the earbud is the touch control interface. Swiping vertically, horizontally, and tapping can give the Dash various commands on either ear.